Directed by Barry Levinson, the film will star Murray as “a burned-out music manager who goes to Afghanistan on the USO tour with his last remaining client.” Then he winds up on a path toward ‘Afghan Star,’ a reality show in the vein of American Idol. Bruce Willis, Kate Hudson, and Danny McBride will also appear. 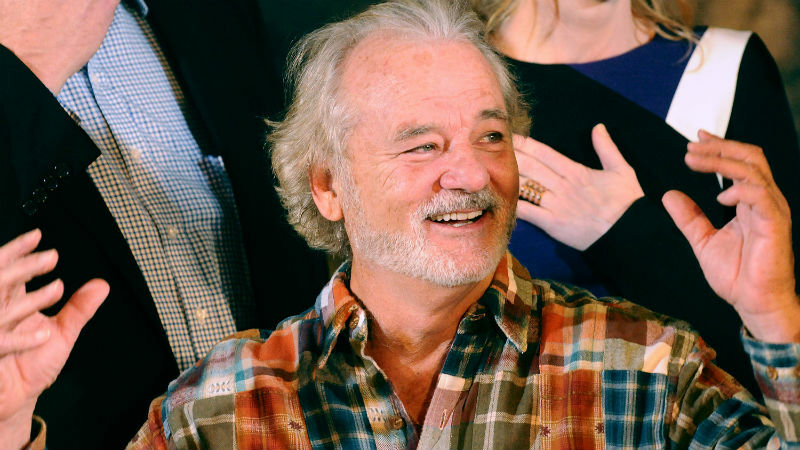 The script comes from Mitch Glazer, who wrote Scrooged and then cast Bill Murray in his directorial debut, Passion Play, and who also created Starz’s Magic City. According to Levinson, it’s “wickedly funny and heartfelt.” The film will begin shooting in June. Murray has been leaning toward starry ensemble pieces lately — George Clooney’s The Monuments Men, Cameron Crowe’s untitled Hawaii movie, Wes Anderson’s The Grand Budapest Hotel and Moonrise Kingdom. LaBeouf, meanwhile, loudly announced three weeks ago that he was retiring — and has tweeted, “I AM NOT FAMOUS ANYMORE” basically every day since then. So much for that. All bets are off when Bill Murray’s name comes up. In other important Bill Murray news, Aaron Paul and Matchbox Twenty singer Rob Thomas bumped into him at a Kings of Leon concert last night in New York.